Marina Alzugaray, MS, CNM, ARNP was born and raised in Cienfuegos Cuba. When she was 17 years old she emigrated with her family to the United States. Marina studied midwifery in the US, where she has worked for over four decades as a midwife and women’s reproductive health specialist. Marina has extensive experience as a homebirth midwife as well as with hospital and birth center care. She has focused on intimate and empowering births for all mothers in all settings, and her hands-on midwifery work and teaching are a reflection of her commitment to these values. Marina’s presentations on Birth Dance, AquaNatal®, Waterbirth, and Red Tents, in addition to her longstanding work in midwifery mentorship, have made her a unique and respected voice in the midwifery world, both nationally and internationally. Marina has provided leadership to the US midwifery profession, including serving two terms on MANA’s Board of Directors. She is internationally known as an innovative educator and skilled guide in cross cultural midwifery mentorship. Marina has served as consultant for Bolivia’s National Maternal Infant Health Protocols, and as Supervisor for the opening of a Nurse Midwifery program in Puerto Rico. Marina grew up surrounded by water on the island of Cuba, her motherland. She became a pioneer of water birth while swimming with dolphins in the open sea. Marina developed the American AquaNatal® method, a prenatal water exercise and educational program. Her Continuing Education courses on ‘The Use of Water for Labor and Birth’ have reached many midwives, doctors and doulas at ICM, MANA and Midwifery Today conferences. Marina is also the developer of My Moon Cards, an interactive menstrual cycle teaching guide. Marina received the UCSF Chancellor’s Award for her research on birth positions, for her national and international presentations of ‘Birth Dance’ performances, and for her work on birth skills for second stage for maternity care providers. Recently Marina’s passion has been traveling to her Motherland to build a bridge of friendship and understanding between her two countries, Cuba and the United States. At the 2017 MANA Convention, Marina will hosted a Cuban Nurse Midwife and co-presented on a plenary panel with her. Marina is honored and thrilled to introduce her Cuban colleague to the international midwifery community. 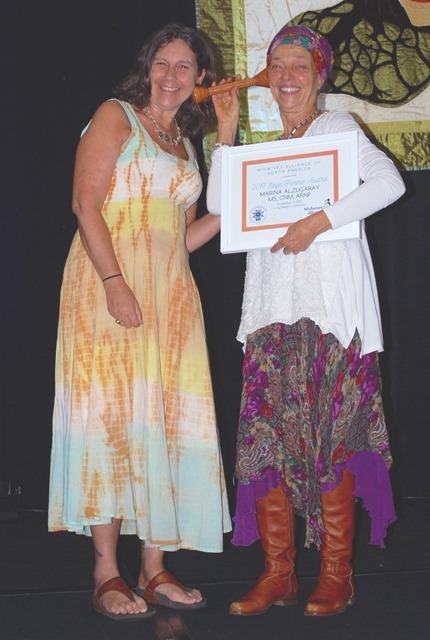 Marina’s multilayered and fascinating path in midwifery—as practitioner, educator, innovator, author, and visionary—is what made it an easy choice to name her MANA’s 2017 Sage Femme. Marina is brilliant, courageous and inspiring — exactly the qualities we love and admire in our Sage Femmes! Jhoanna Galvez, LM, CPM is a Los Angeles native Queer Pinay midwife. She is the founder of Malaya Midwifery based in Long Beach, CA. performing artist and activist. The birth experience showed her that the midwifery model of care was in alignment with her feminist worldviews and simultaneously revealed the rich birth stories and traditions of her ancestral lineage. Upon her return home she gained experience at Quirino Memorial Medical (maternity only hospital) in QC, Philippines alongside local midwives. 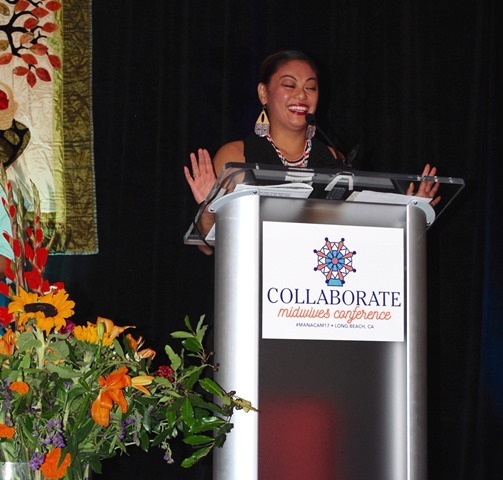 The honor to be able to work in her native country and native tongue helped her understand her place in the world as a Filipina American midwife. She trained at Birth Roots and Birth Matters in San Diego. She is centered in the fact that the midwifery model of care excels at addressing birth disparities in the United States of black families, families of color, and intersections of unique family units which make up Los Angeles, CA. Her practice thrives in an urban setting aiming to improve birth outcomes while celebrating these unique identities with compassionate skilled care. Jhoanna hopes to continue to build bridges with local midwives in her home country of the Philippines, to exchange knowledge and increase the support of skilled birth providers from the city to the remote areas. 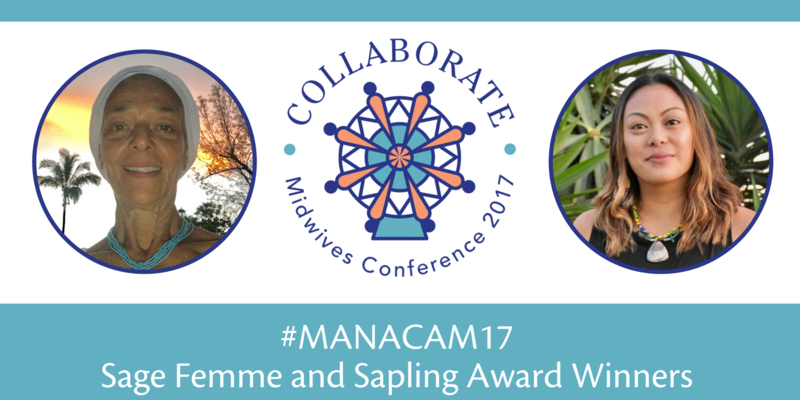 Jhoanna’s passion and commitment to midwifery are why MANA has chosen her as this year’s Sapling. We wish her all the best and look forward to the many years of leadership she will offer her community and the profession of midwifery. The MANA STAR Award is given to an individual who has volunteered with MANA for at least 10 years. Marsden Wagner was a champion for midwifery in the US and worldwide, and a dear friend of MANA. 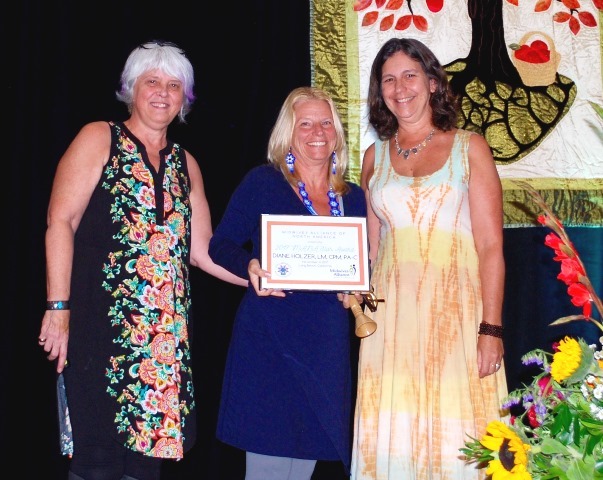 This award is given to physicians who are strong advocates for both the midwifery model and collaboration between physicians and midwives, and who have helped advance midwifery in our country. 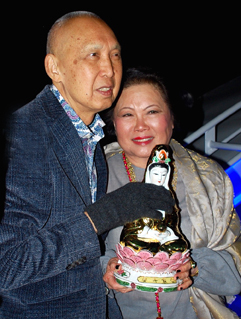 Dr. Wu, who just this year retired after 49 years in service to the local birthing community, is an advocate for women’s choice in childbirth, an expert in vaginal breech delivery, and a true collaborator with midwives.